Just added these to my collection! Those are some awesome cards! I just added these poster to my collection. I bought the black one from Bret and then added Billy Dee And Warwick Davis on it. The blue poster was signed by Jack Lloyd at Star Wars Weekends. It is sent to Jason Wingreen right now. More photos are on my site. WOAH! Those look super cool! Had a friend buy a CD for me signed by STYX at a local concert last night! All proceeds went to help the flood victims here in Iowa. Wow. Nice one with the Declan Mulholland!!! Did receive my posters back today from my buddy that went to DragonCon! Those look totally awesome wes! I can't wait to see what they look liked matted and framed! Those look great Wes!! good additions to your collection!! Great posters Holla! When and where did you get Tony Star's sig? I bought that ROTJ from a collector. He got it at one of conventions in England. I had the list of where and which but I can't seem to find it. The only thing I added to that ROTJ since i've had it was the Peter Mayhew. Stopped by my local Flea Market yesterday and picked up a great deal from my friend. 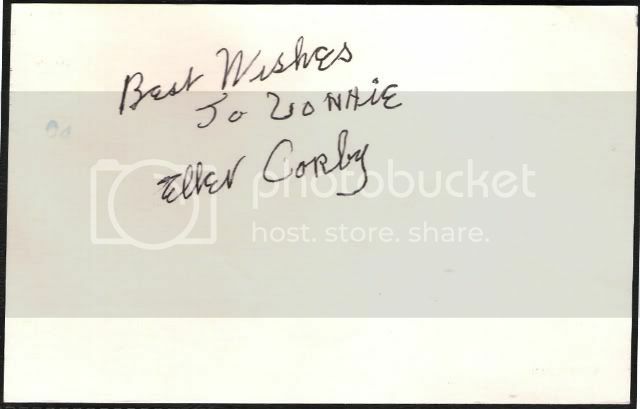 A 5x7 photo signed by Richard Thomas and a 3x5 Index card signed by the late Ellen Corby for $30.00!! I’m a fan of “The Waltons” TV show and I’ve almost completed my Walton family collection. Just need to add: Kami Cotler, David Harper, Will Geer, Judy Norton & Jon Walmsley. A friend of mine will hopefully be getting Kami’s later this month at the Waltons reunion in CA, and I have requests out to Jon & Judy through Up-To-Date addresses. 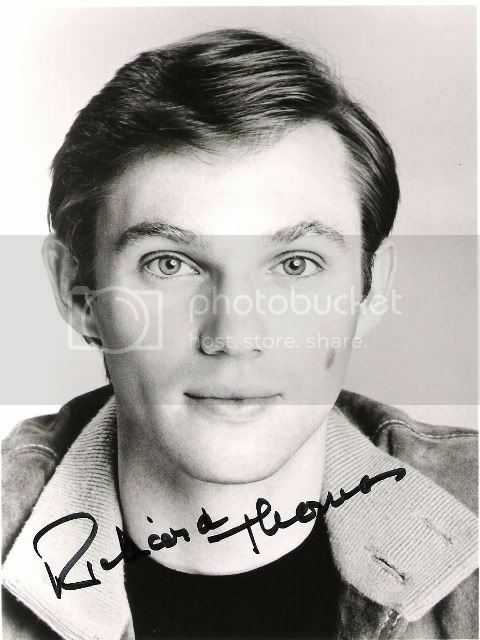 The guy I purchased the Ellen & Richard Thomas from thought he might have a David Harper index card, but he’ll have to check. If he does that just leaves Will Geer to complete my set. Wish me luck!